So yesterday came and went so quickly! I was at work but I managed to bring my kid along for the end of Round 1 and she was well behaved. Whenever I ask her “What is Ga doing?” She replies “Playing chess” and when I ask “What does that mean” she very sweetly puts her fingers to her lips and says “Be quiet”. Earlier in the day, I had a think. What kind of contents should I put up on the website? Chess analyses? Not something that I feel confident doing and there are so many websites with notes readily available. I also can’t give away any information about his prep but it’s hard to find the balance between being a personal website and then feeding the “basic” information. I guess since I have the privilege of knowing many of the top players I thought I’d do some sneaky shots with my phone. Photos are always a good way to go 🙂 So while hanging out, I got this shot. This got me thinking about all the ideas I do want to write about but never seem to have the time to do it! So I’ll try weekly,but the problem is that my updates are quite a long process. At least 2 sessions of writing, then I print it out and edit it with a red pen and finally Gawain reads over it! So I apologize now for the spelling mistakes, typos, grammatical errors! I write like I think, which is a bit all over the place so you’ll all have to bear with me for now. Taken with my iPhone. It doesn’t work well with bad lighting! 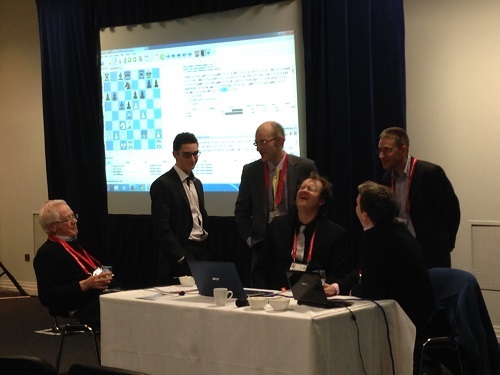 Gawain faced Hikaru Nakamura in Round 1 with the white pieces. I don’t know so much about the game but I know their rivalry (if you can call it that?) 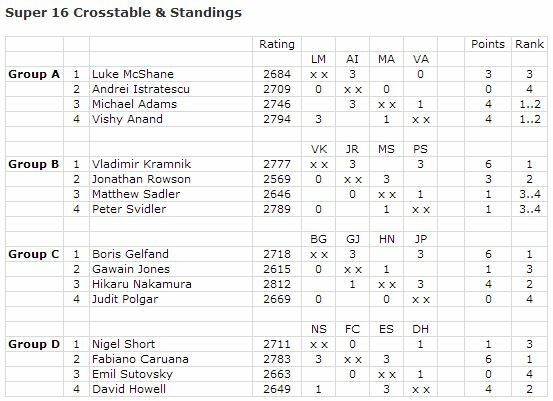 started at the World U10 in Oropesa, since then I think there has been many 1 minute blitz games on the ICC as well as a couple of long play games which have ended in draws. 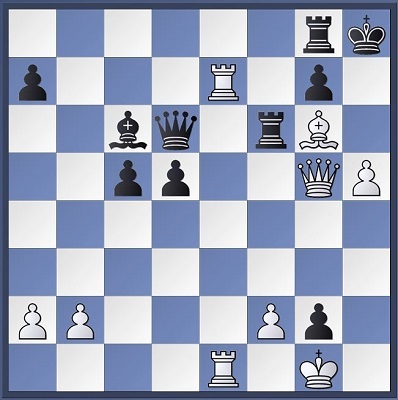 McShane vs Istratescu, White to move. After 30… Bc6? 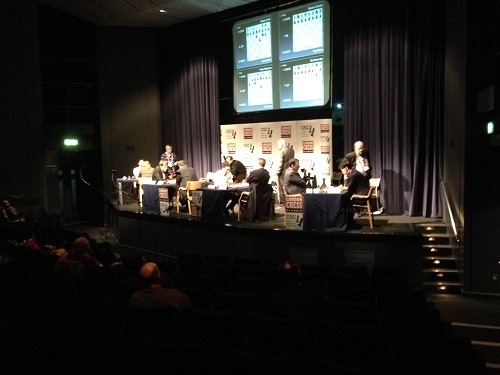 In the second round, Gawain faced Former World Championship Challenger Boris Gelfand. I watched the game with GM Julian Hodgson commetating but he was mainly focused on the Short-Caruana game where Nigel went a bit crazy with a combination of b4 & g4. At first I thought it was “kind of clever” playing against a young player and trying to get him out of book but there is a reason why theory is theory. Since Julian was so keen on exploring the tactics of that game, he only got to Gawain’s game when it was the only game left. At that stage, Gawain was in this losing knight and pawn endgame. 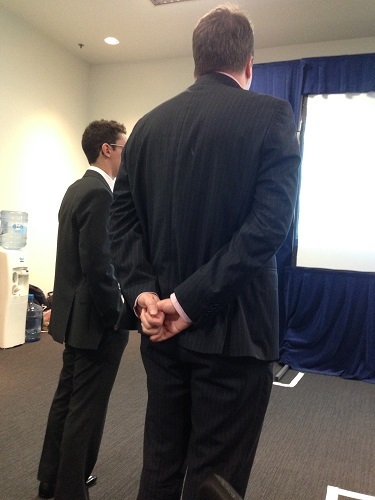 He had some kind of tricks up his sleeves but Boris didn’t falter. This round there were 4 decisive results! But being rapiplday I don’t think is uncommon. Gawain today plays at 2pm & 6pm. He faces Judit in Round 3 and after that Hikaru with the black pieces.